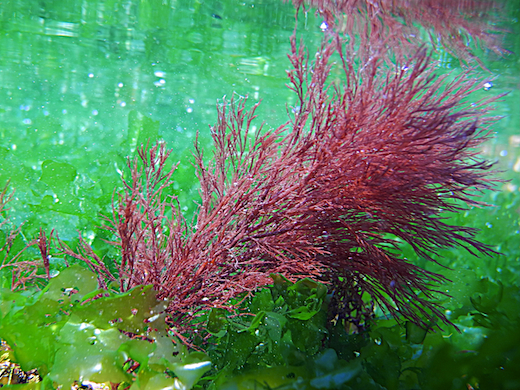 Description: Cylindrical, cartilaginous, bushy, brownish red fronds, to 300 mm long. Much branched, repeatedly, irregularly. Branches clothed with small, pinnate branchlets and simple, pointed ramuli. 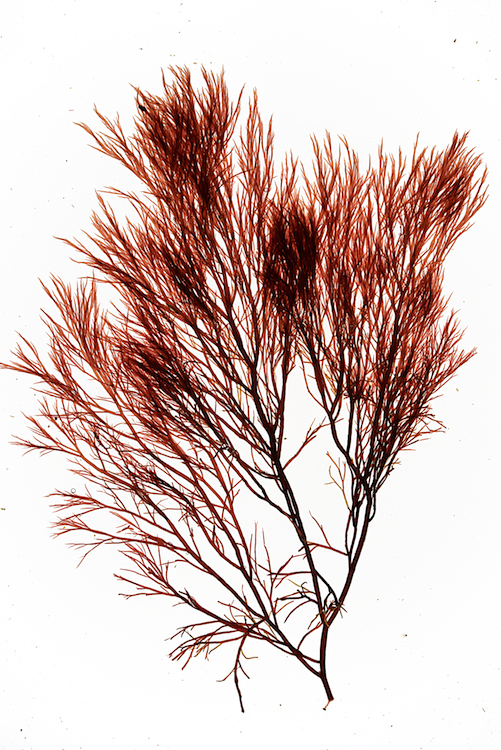 In winter branchlets are shed and frond appears bare, spiky, very different from summer appearance. Central siphon surrounded by elongated cells with outer band of small coloured cells, articulations not visible. Key characteristics: Dark brow, coarse, cartilaginous. Resembles a coarser Polysiphonia. Site © M.D. Guiry 2000 - 2019. Important copyright notice: all text, design and photographs on this site are copyrighted by M.D. Guiry unless otherwise stated and all rights are strictly reserved. Click here for copyright information and contact. Website design: 249 Design Studio. Site maintained by M.D. Guiry (michael.guiry@nuigalway.ie). There have been 8736590 page loads since 1 January 2014 on 25 April 2019.